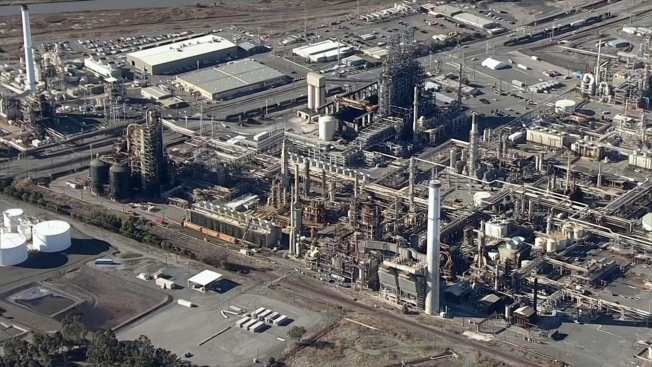 Calling their findings a wake-up call, the United States Chemical Safety Board on Tuesday shone a spotlight on a history of safety deficiencies at the Tesoro refinery in Martinez. It was these shortfalls that officials say caused two sulfuric acid leaks in 2014, leaving four workers with first- and second-degree burns. "These types of incidents are preventable," said boardmember Vanessa Allen Sutherland, who said "injuries to workers and harm to the community" can be avoided. The same refinery was the site of a deadly fire in 1999 that killed four workers. Though it was owned by Tosco Avon at the time, federal investigators say Tesoro failed to implement lessons learned from the 1999 tragedy. In fact, they say, 15 injury-causing sulfuric acid releases occurred between 2010 and 2014. Also, the investigation found that Tesoro workers were exposed to dangerous vapors and acids, and sometimes without necessary protective equipment. "We obviously think that should be reduced – that's too high," said Dan Tillema of the U.S. Chemical Safety Board, stressing that quicker "proactive corrective action" could have prevented other incidents. Tesoro, however, says safety is an integral part of everything it does. In a statement, officials said they've worked to modify procedures, practices and specifications, including updating protective equipment, since 2014. "I know they're making changes and taking it very seriously," said Randy Sawyer, the chief environmental officer for Contra Costa County. State and county officials say they're grateful for the federal findings. With five refineries in the East Bay and more than a dozen across the state, worker safety is critical. "I hope it's a wake-up call for refineries across the country," Sutherland said. "Although this case study focused on Tesoro, the lessons that are in here are applicable to refineries inside and outside California." Tesoro officials said the federal report contains inaccuracies, but did not specify what they are. They said also that they will continue to make safety improvements at the Martinez plant.